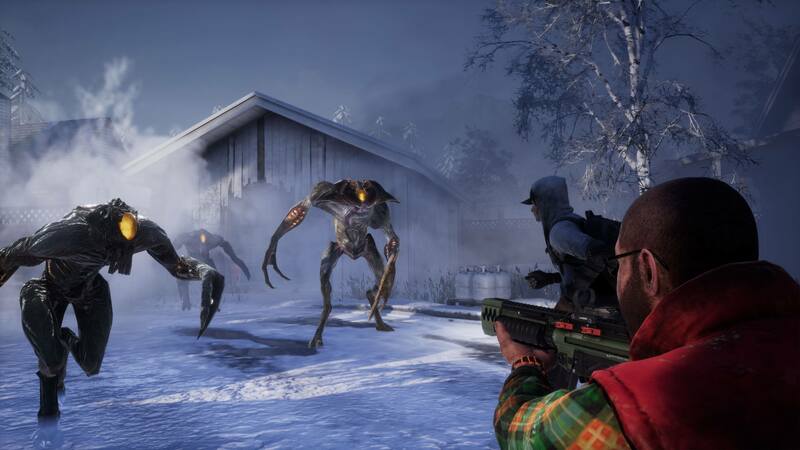 Back in May 2018, Holospark and Gearbox Publishing announced that Earthfall, a four-player, co-op shooter, would launch in July 2018. Since Earthfall has been out for almost a month now, Holospark thought it’d be a great idea to publish its content roadmap, revealing the studio’s plan for its first game post-launch. 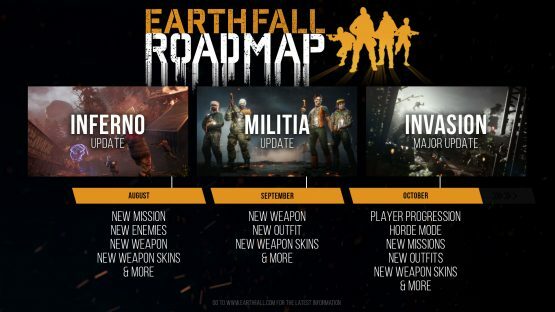 The Earthfall content roadmap covers the next three months. In August 2018, Holospark will introduce an Inferno update, which will provide players with a new mission, more enemies, extra weapons, additional weapon skins, and more. The Militia update will come in September 2018, which will present us with a new weapon, outfit, weapon skins, and more. When October 2018 rolls around, Earthfall will get an Invasion update with new player progression, a horde mode, more missions, extra outfits, some weapons skins, and more. As stated in the Earthfall content roadmap, which can be viewed below, Holospark considers the Invasion update a major update. All of the updates shown in this Earthfall content roadmap will be available for free, as confirmed by the game’s official Twitter account. However, no release dates have been provided. Earthfall is available now for the PlayStation 4, PC, and Xbox One.